Disclaimer: This post was sponsored by Maty’s. All opinions are my very own. Winter is just around the corner and, as a parent, I realize that the common cold & flu are coming around the corner as well. 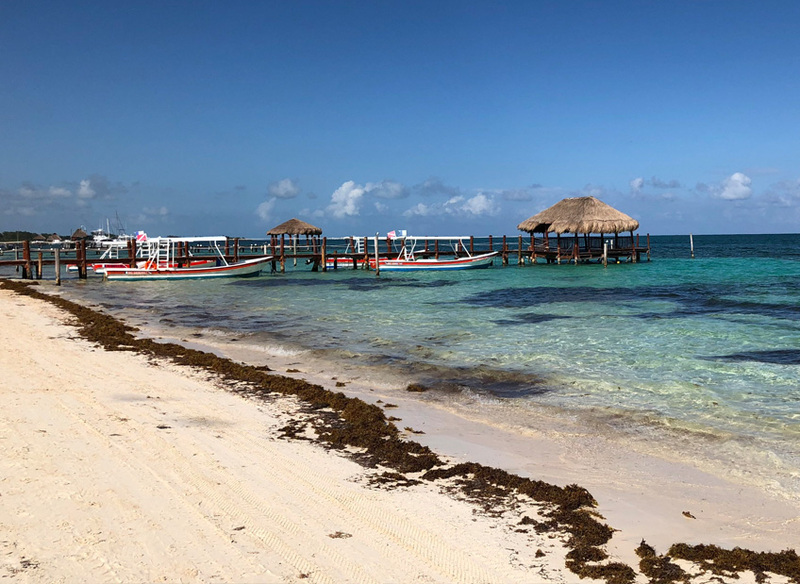 We all tend to get sick during the winter for reasons that we may not realize: we are inside more, therefore we are in touch with more germs from crowded areas, door knobs, toys, faucets, keyboards-you name it! 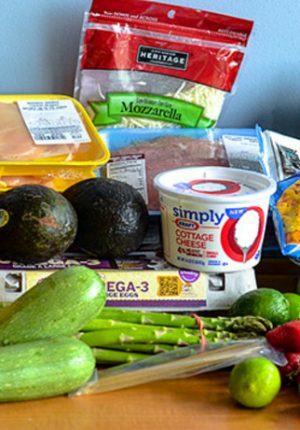 Also, your immune system is typically lower and more sluggish in the winter time. However, kids seem to get the worst of it because they touch everything and everyone in their paths. 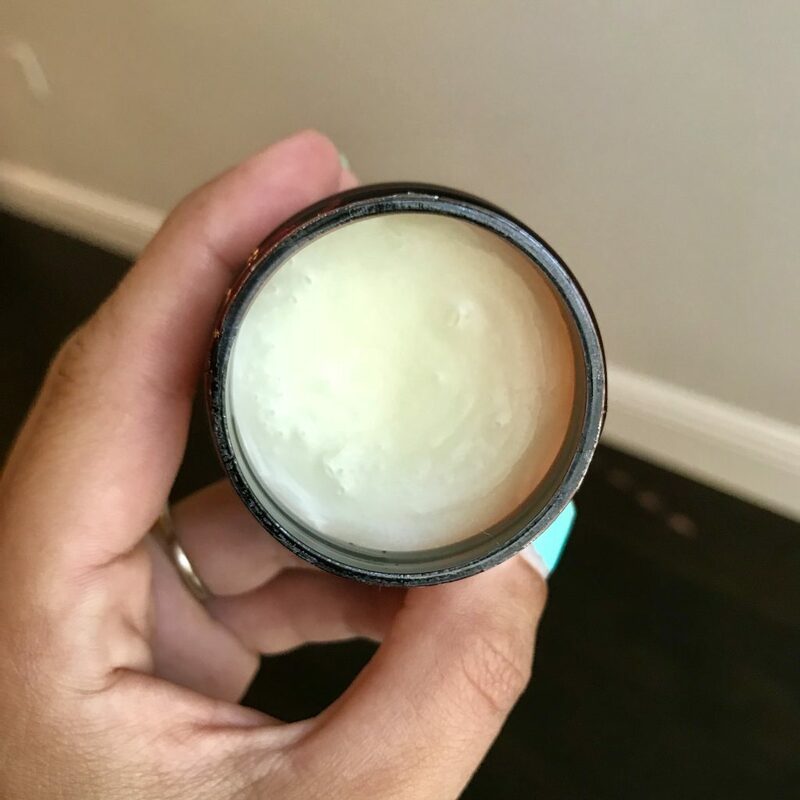 After having two children of my own, I have learned what products you truly need in order to tackle any cold like a supermom! Getting sick is inevitable, but your kids do not have to be miserable throughout the duration of their cold. Using a nasal aspirator is always a good idea for little ones who may not be aware of how to blow their little noses. My 3 year old is pretty good at it while my nearly 18 month old isn’t the best so we tend to use the aspirator on her. It gives them quick, temporary relief by unclogging the nasal passageways. While it isn’t always the most pleasant thing to do to your child, sometimes they need it in order to feel their best during a yucky cold. I use the NoseFrida for my kids and love it. If your child has a cold, they most likely will be running a fever as well. To keep track of your kids’ fevers, I would recommend an accurate and fast thermometer. The younger your children are, the more they will wiggle while taking their temperatures so having a speedy temp reader is so important as a mom or parent! I like to use Nokia Health’s Smart Temporal Thermometer as it’s also invasive by taking the temperature reading on the temporal lobe of the forehead and tracks readings in-app. We own at least two humidifiers in our home because they are so important during cold and flu season. 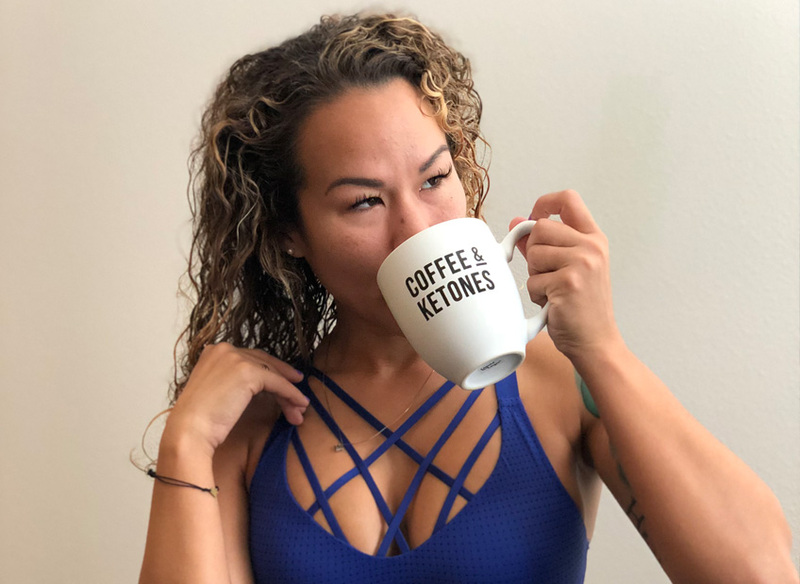 It emits water vapor into the air to raise the level of humidity in your room so that you can breathe easier and cough up the junk that has been clogging your sinuses. It can also alleviate dry skin, chapped lips, and nose bleeds! I love the Crane Ultrasonic Humidifier as it comes in many cute animal shapes. 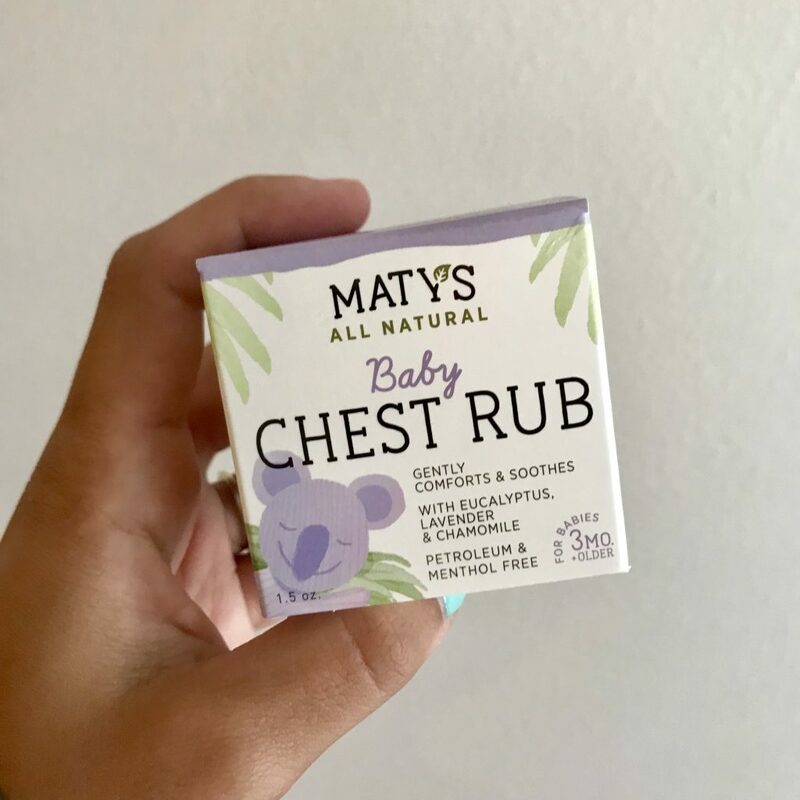 Lastly, but most importantly, I would recommend Maty’s All Natural Baby Chest Rub. 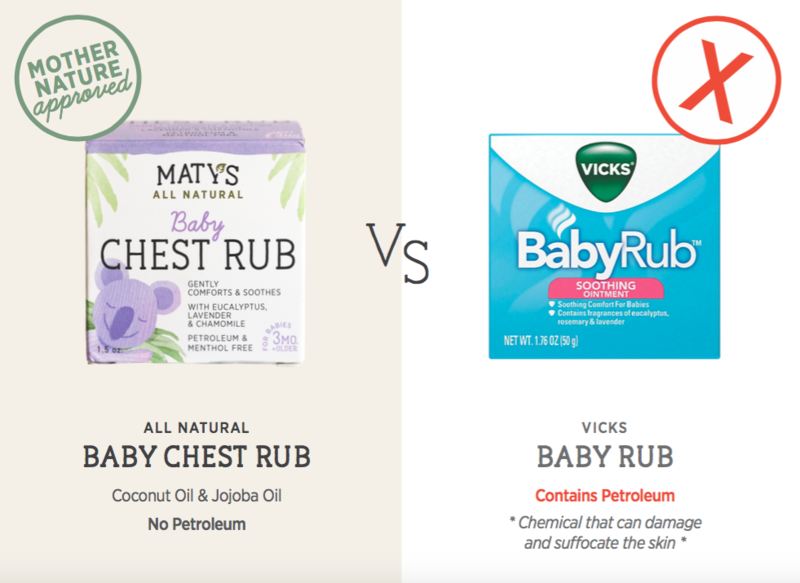 It is unlike other brands out there which is most likely why they are the #1 selling all natural baby chest rub in the USA! We have been using it like crazy and winter hasn’t even begun because my little girl keeps getting a cold due to her first time in childcare and being around tons of other kids. This stuff works like a charm helping to ease coughs and sniffles. My 3 year old even told me that it helped him to breathe better at night. However what I love most about this is how AMAZING it smells! It contains no petroleum, menthol, chemicals, or artificial ingredients so I am happy to use it on both of my children. This chest rub does contain natural ingredients such as Sunflower Oil & Wax, Lavender Essential Oil, Eucalyptus Essential Oil, Patchouli Essential Oil, and a few other goodies to help ease your child into comfort from their cold. 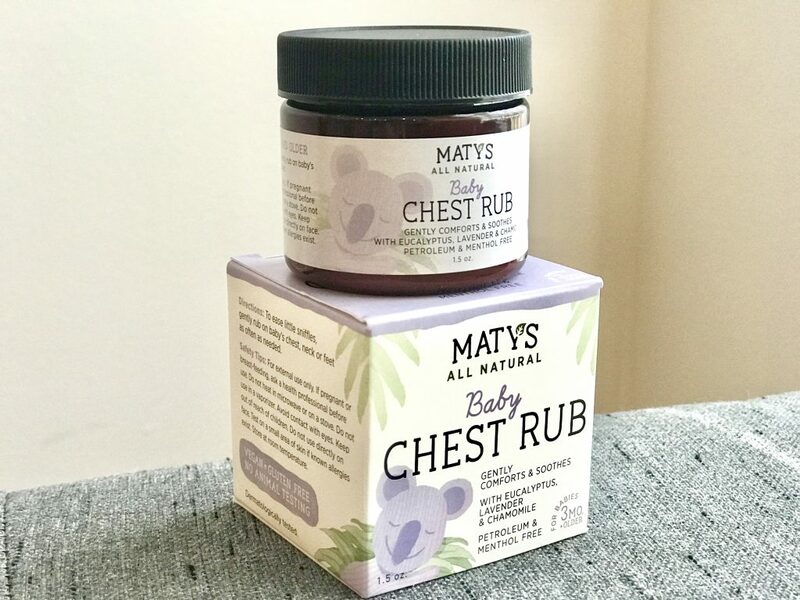 Maty’s All Natural Baby Chest Rub is recommended for children 3 months and older. 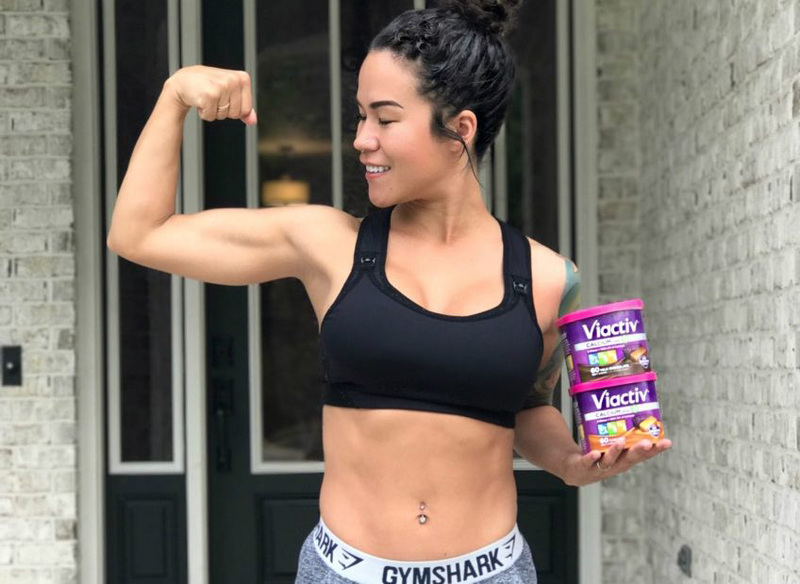 You can check out all Maty’s wonderful products at matyshealthyproducts.com or stop by your local CVS, Rite Aid, Walmart, and tons of many other locations. Be sure to keep all 4 things handy and ready this winter season so that you can tackle any cold that comes your family’s way. No matter how tough your child’s cold may be, know that you’ve got what it takes to be a supermom!